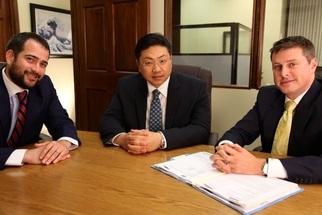 The attorneys at Strassburg, Gilmore & Wei, LLP are personal injury lawyers near San Bernardino County and we've worked with nearly every possible type of accident case throughout Southern California. We work on a contingency basis, which means that we don't get paid anything until we've successfully settled your case, or brought it to a jury verdict. When you call Strassburg, Gilmore & Wei you will talk directly with one of our attorneys immediately, and our first priority is to get you to a doctor, chiropractor or medical professional... usually on the same day you contact us. Contact an Experienced Injury Attorney Near San Bernardino County Today.